What's troubling is that QB Cam Newton didn’t appear to get much in the way of concussion testing in-game, despite measures put in place by the league intended to diagnose concussions swiftly and independently of the teams themselves. If you are conflicted about watching the NFL these days — torn by the breathtaking beauty, drama and physical skill on the positive side and the frightening specter of head injuries on the negative side — it didn’t take long for those feelings to be stirred anew. In fact, it took exactly one game of this NFL season. 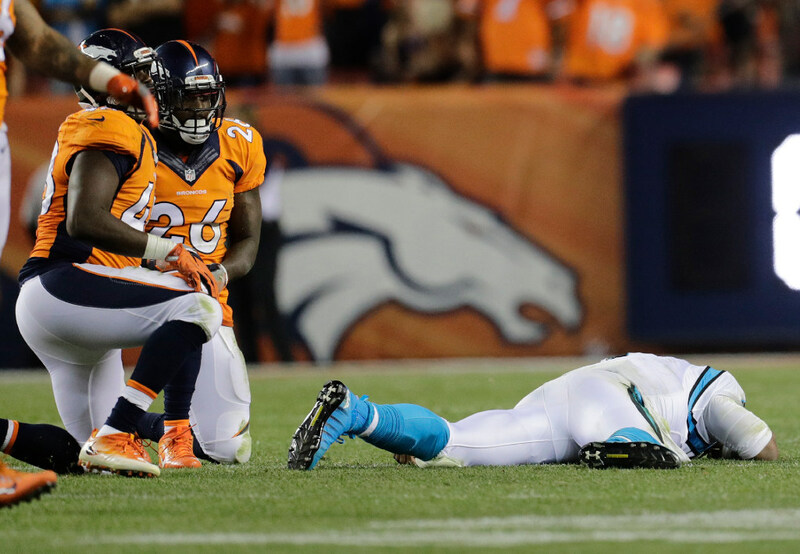 Providing a near-perfect microcosm of the NFL today, the Broncos defeated the Panthers 21-20 Thursday night in the season opener, a rematch of last year’s Super Bowl also won by Denver. There were story lines galore, there was drama, there were wonderful plays and there was a game-deciding field goal in the closing seconds drifting wide left. But there were also multiple hits to the head of Carolina QB Cam Newton, the reigning league MVP. Only one was called a penalty, even though it appeared there was just cause for flags to be thrown at least three times. Perhaps just as troubling is that Newton didn’t appear to get much in the way of concussion testing in-game, despite measures put in place by the league intended to diagnose concussions swiftly and independently of the teams themselves, who figure to have an incentive to keep players on the field (especially one as important as Newton). That’s stunning in and of itself since Newton looked pretty shaken by the brutal hit. But it’s also still a problem if a Panthers team physician is weighing in on whether Newton needed further evaluation. If your team is down 21-20 and trying to get into field goal range, don’t you have a clear interest in having Newton remain in the game instead of trotting out backup Derek Anderson? If the NFL wants to have it both ways — the game is great AND safe — it missed the mark in its first try of 2016. Instead, we’re left conflicted (again), thrilled by the game itself but wondering just what those blows to Newton’s head will mean for his long-term health.